The party consisted of: John Mason (Hon Treasurer), Rebecca Johnson (Hon Secretary), Thanos Petouris (SOAS, University of London), Bob & Jean Aitken, and Paul Kane (Three Oaks Trust). On the island, the BYS party was received by the Governor of Soqotra, who entertained them to a scruptious dinner on their first evening there. After dinner, they attended the annual Soqotri poetry competition for 2009, which took place at a nearby school. Great numbers of local poets travel from all over the island to compile verses in the Soqotri language in front of a large crowd. Over the next days the BYS members had the opportunity to treck more than 40 miles from the northern to the southern coast of Soqotra, and visit various designated protected areas. 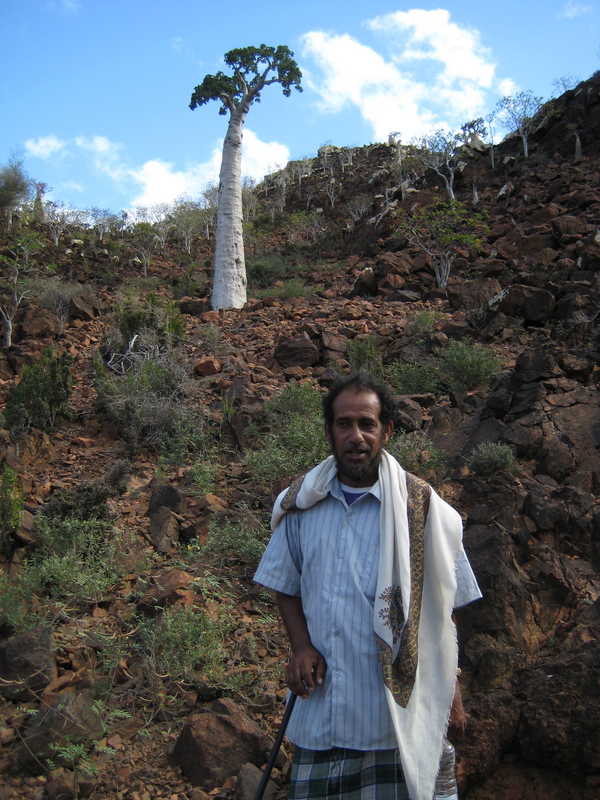 Sheikh Eissa, the group guide, is a renown local poet and sung for us in the local language many of the folk tales of the island. The BYS party had the opportunity to visit the Socotra Training Centre (STC), where the acting director, the Australian Matthew Byrne, briefed them on the latest activities of the school and showed them the new computer and internet room. The Society has supported the STC on a number of occasions, most notably through its Annual Appeal. Matthew escorted the group during a visit to the town of Qalansiyah, where he teaches during the windy season when the school in Hadiboh is closed.